Jen joined the Beth El in June 2011. Jen is a graduate of the William Davidson Graduate School of Jewish Education at the Jewish Theological Seminary (JTS), where she received a master’s degree in Jewish Education, focusing on Synagogue Education. She also went to JTS for her undergraduate studies, as a student in List College, the joint program between JTS and Columbia University. Jen holds two bachelor’s degrees, one in Jewish music and one in sociology..Jen has worked with USY and in Religious School settings for many years. She lives in New Rochelle with her husband and two children. Bekkah grew up at Beth El Synagogue and joined the staff in 2012. Bekkah is a graduate of the William Davidson Graduate School of Jewish Education at the Jewish Theological Seminary (JTS), where she received a master’s degree in Jewish Education, focusing on Experiential Education. Previously she attended Binghamton University, where she received a bachelor's degree in Human Development. She Bekkah also has a master's concentration in Israel Education through the iCenter. Bekkah has experience working with USY, Hillel, Moving Traditions and UJA-Federation. Morah Eden is thrilled to join our Religious School team this year. She loves working with children and has worked in Beth El Nursery School for many years! Morah Eden finds joy out of bringing her love of cooking, food, and Jewish ritual into her classroom in order to create a true community. In her spare time, Eden spends time with her children. Her favorite part of the week is Shabbat, when she cooks for her family and friends, spending quality time together. 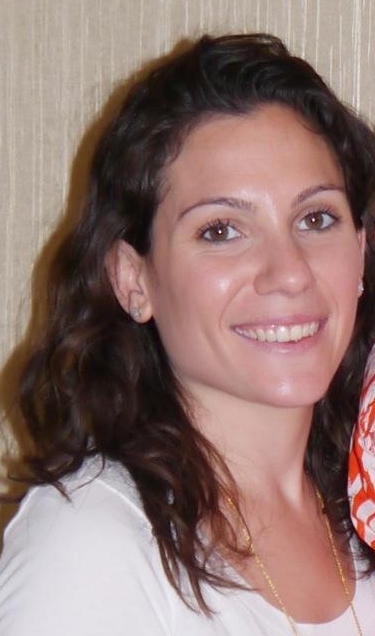 Becca Behar is very excited to be joining Beth El's Learner Support Team. She has an extensive background in special education, supporting children's diverse needs in creative and innovative ways. Becca recently moved to Pelham (by way of New York City) with her husband and two young sons, Lucas (age 3) and Eli (2 months). She enjoys her dual role as both mother and childhood educator! 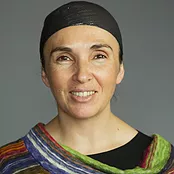 Miri has been running the Hebrew program at Beth El for the past 18 years, developing an interactive curriculum that combines current events, literature, religion, and culture in order to capture the essence of the Hebrew language. She holds a BA in Hebrew language and a teaching certificate in Hebrew Language from Bar Ilan University. She has over 25 years of experience as a Hebrew educator. Sam is a 3rd year Rabbinical student at the Jewish Theological Seminary. He has served as a songleader and t'fillah leader at Temple of Aaron Synagogue in St. Paul, MN, Camp Ramah in Wisconsin, and Chizuk Amuno in Baltimore, and loves bringing his passion for music and Judaism together. This is Sam's first year at Beth El. Marni served as Director of Recruitment and Outreach for NJY Camps. Marni is passionate about fitness and nutrition and is certified as a Personal Trainer, Spinning Instructor, Kickboxing Instructor and Children’s Yoga Instructor. 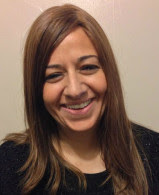 tly teaches at Westchester Torah Academy and is thrilled to join the Beth El team. Morah Sigal was born and raised in Israel. She has been teaching Hebrew language and Judaic Studies at Kinneret Day School for many years and received her BA and LLB from Bar Ilan University in Israel. Morah Sigal lives with her family in Hastings on Hudson and is excited for a wonderful school year with Kitah Vav at Beth El. Sara brings her background as a Beth El Day Camp counselor and Teach for America educator to her work at Beth El Synagogue. She is also an educator at Beth El Nursery School. She is looking forward to building relationships and connections with the children and developing creative and engaging learning experiences. Morah Laurie has been teaching, leading services, or working in Beth El’s summer camp for the past 35 years (since September 1981… though she is only 29 years old!). She lives in Valley Cottage, NY and has two sons and two dogs. When she is not at Beth El, she teaches in the New York City Public Schools and is an independent Avon Representative. She also loves drawing, singing, poetry, puppetry, writing parody songs, and life. Laurie is thrilled to continue teaching fourth grade at Beth El and looks forward to a wonderful year. Morah Emily has taught Gan in the religious school for a number of years and is excited to continue with the kindergarteners and teach yoga through a Jewish lens to teens. Emily really enjoys teaching, learning about Torah, and yoga, so these roles fit her interests very well! She has five children and one granddaughter who she adores very much, as well as various animals in her home. In her spare time, she loves many activities in the great outdoors, like hiking, swimming and kayaking. Rachel Rosin is excited to join the Beth El team. She moved to America from Israel two years ago and joined the teaching staff at Westchester Torah Academy, where she teaches 3rd & 4th grade. 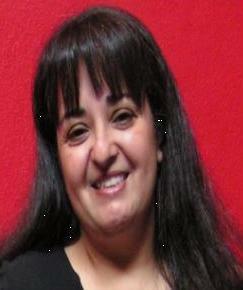 She has many years of teaching experience in Israel and a passion for drama and dance, both teaching and performance. She lives in Queens with her family. Everything Eliana does stems from a deep passion for Jewish life and learning. Song-leading, song-writing, prayer leading, educating... It's all directed from one heart and towards one goal: To help individuals discover themselves within the depth and richness of Jewish life, and to take ownership of their Judaism. Raised in Memphis, TN on soul music and synagogue life, Eliana has led programs and performed all across the country. She currently lives in New York City, where she is the Music Educator at B'nai Jeshurun. She graduated the Jewish Theological Seminary with a Masters in Experiential Jewish Education in 2016. Eliana will be with Beth El Religious School for four workshops over the course of 2017-2018. 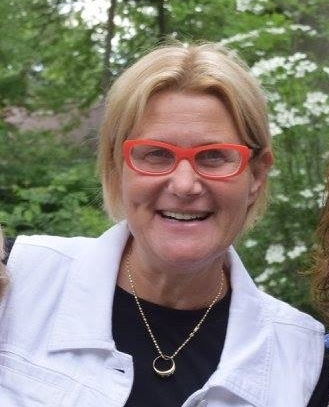 Joy Reich joins the Beth El Educator team for her first year and is excited to get to know the community. She has many years of experience working in Jewish Early Childhood, but her passion is working with middle schoolers. A graduate of Stern College of Yeshiva University, Jewish education is central to her self, both personally and professionally. She lives in Scarsdale with her sons. A native New Yorker, Beth grew up in a life steeped in Jewish tradition. She has lived in Westchester County and worked as Beth El Day Camp’s Art Director for over 20 years, and has been with Beth El Religious School for nearly ten. Beth works to encourage creative exploration within a framework of Jewish ideas and traditions, letting learners express themselves creatively and ritually. Using the ethic of chidur mitzvah, beautifying the mitzvah, Beth enjoys the smiles of the learners as they enter the art room, the enthusiasm while they work, and the satisfaction and pride they show in their results. Although Dara has been working at Beth El for a few years, this is her first year as one of the Hebrew Specialists in the religious school. She has been a teacher for the New York City Board of Education for the past eight years and has taught second grade, third grade, and, most recently, Pre-K. Dara has been living in New Rochelle for four years with her husband and three children. Rabbi Zachary Sitkin joined the Beth El clergy team in 2016 on a part-time basis, and recently became its full-time assistant rabbi. Rabbi Sitkin had served as Rabbi at Congregation Eitz Chaim in Monroe, NY, and participared in a unit of Clinical Pastoral Education at the Jewish Theological Seminary. Rabbi Sitkin’s love for Judaism was sparked by his participation in his local and regional USY chapters in high school, and was further cultivated when he left for Israel on the Nativ gap-year program, where he studied at Hebrew University in Jerusalem and worked on a Kibbutz in the South. Rabbi Sitkin attended the University of Pittsburgh and received dual Bachelors degrees in both Psychology and Religious Studies. While at Pitt, Rabbi Sitkin co-founded a Beit Midrash, led the conservative minyan on Shabbat, and beat-boxed in Hillel’s a cappella group, the VoKols, where he met his wife, Lisa. This is Rebecca’s second year at Beth El Religious School and this year, she is part of the Learner Support Team and will be facilitating Moadon for Kindergarteners through 2nd graders. Rebecca is also an assistant teacher at the Gillen Brewer School and is currently receiving a Masters degree in General and Special Education at Hunter College. Bonnie is excited to be a part of the warm and nurturing community of the Beth El Religious School. She has been in the field of education for the past twenty years at various schools and has taught both secular and religious subject matter. She received her Masters in Elementary Education, grades PreK-6 and holds a Montessori Early Childhood Credential. She lives in New Rochelle with her husband, two children and their dog, Biscuit.